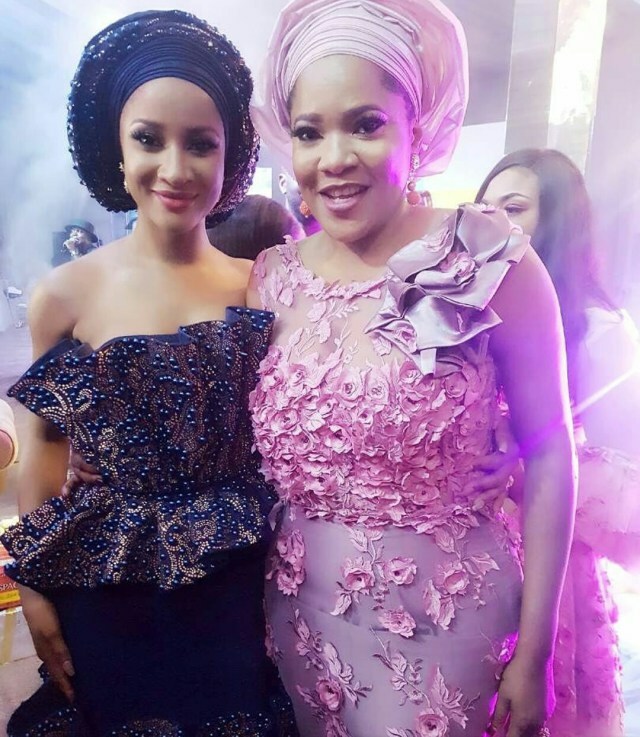 Nollywood actors Adesua Etomi and Toyin Abraham have finally made their peace with each other many months after openly disagreeing on national television. The two talented actresses had openly exchanged hot words about six months ago during the Nigerian Entertainment Conference event (NECLive) which had been broadcasted live. Toyin had attacked Adesua for saying she belonged to no Nollywood association and the natter had been aggravated and blown by the media. The stars although were never spotted together prior to this day, they also weren’t seen together at events or otherwise after this day. We however got our shocks when we spotted Toyin all dressed up in her pink Aso Ebi that indicated she was ready for #BAAD2017. The actress also posted a photo of herself with Adesua at the event calling it a union of Edo babes!